Sakura Watch, March 7, 2018 - buds are back and today’s visit to High Park officially begins the new cherry blossom season this year! Always looking for new ways to share the sakura with a broader audience, I will now be incorporating video along with the gallery of photos. As more and more people are watching, instead then reading, this should be a great way to show the sakura updates more creatively and engagingly. Video allows me to do more than I can with only photos, so watch for more video incorporating on this site and throughout social media including YouTube (please subscribe). Let me know in the comments below your thoughts on the new format. 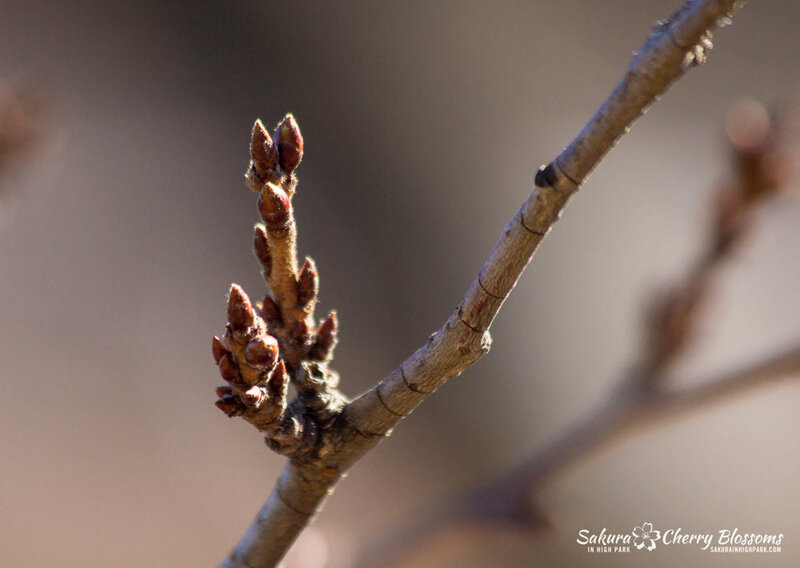 As seen in the video, the photos below show well formed and healthy looking blossom buds - great indicators that the trees are doing well and progressing along to their regular schedule. With a less harsh winter and days of above seasonal temperatures, the cherry blossoms look to be on track for a regular blooming time between mid-April to early May. Click image thumbnails to enlarge. This is not yet an accurate prediction as I would need a few more weeks of observations to narrow down more exact dates. Weather extremes can push the times out further if it gets too cold or even sooner if temperatures rise above seasonal norms. As always, its the one wildcard that can quickly throw predictions for a loop. What would you like to see more of this year on this website? Do you want the new video updates? What could be improved? I welcome your feedback as I try hard to offer as much information and visual beauty to each of my posts. I appreciate you all who take the time to visit the website or any of my other social media pages and want to say thank you for visiting and watch for the next update soon!